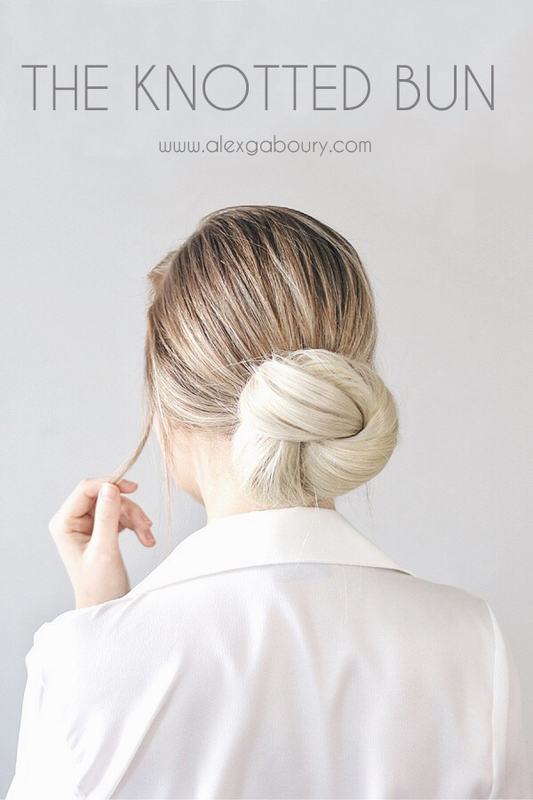 Today I wanted to share with you this easy low knotted bun hair tutorial. As some of you may know I recently made the move from a somewhat Suburban area to the heart of Downtown Toronto. I have now lived here a month, and I could not be happier with my decision to move. There have been some minor set backs along the way but I stayed positive and everything worked out in the end. Since moving here I find myself surrounded by very strong, elegant woman and that is what inspired this hairstyle that I like to call, city chic. You will need: 1 hair elastic, 5-10 bobby pins. To help create that sleek look you will want to prep your hair. If you hair is dry I recommend Herbal Essences light hold gel, you only need a quarter sized amount and it’s my go-to because it provides hold without the crunch. If you’re starting off with wet hair, apply a generous amount of mousse throughout your hair, lately I’ve been loving this Kerastase Mousse. Using either a fine tooth comb, or a soft bristle brush, smooth your hair into a tight ponytail where you want your bun to sit. I chose to place my ponytail right at the nape of my neck, I find this gives this hairstyle a casual yet elegant appearance, plus you could wear it with a hat (I’m picturing it paired with a baker boy hat like this one). 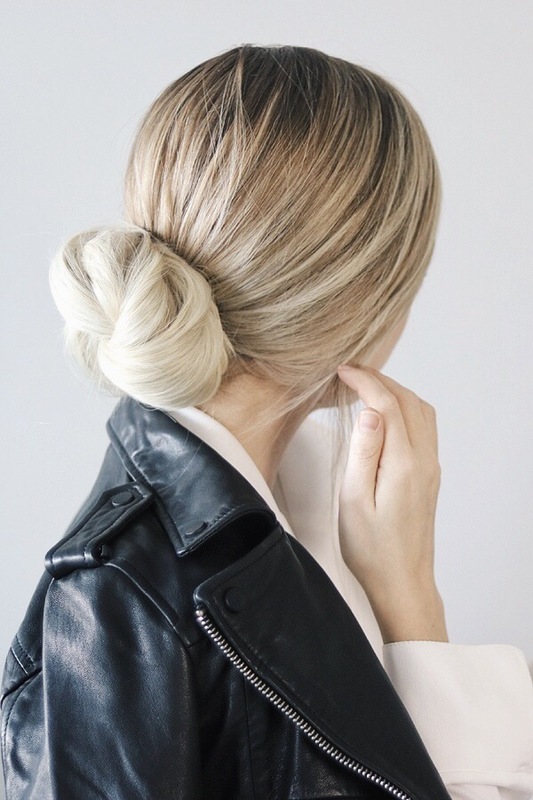 Now that you have a tight ponytail, we can create our knot bun. Hold onto the base of your ponytail with your left hand. 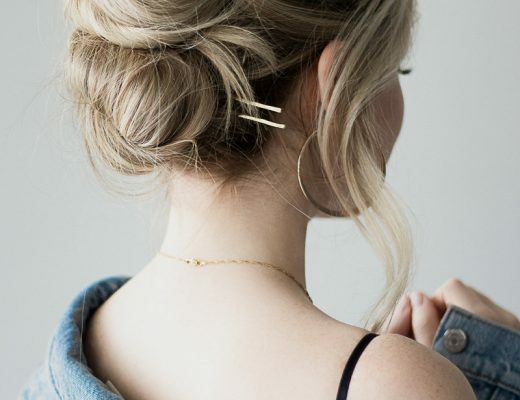 With your right hand, grab your ponytail and begin wrapping it counter clockwise one full circle around your left hand, keeping it tight to your head. 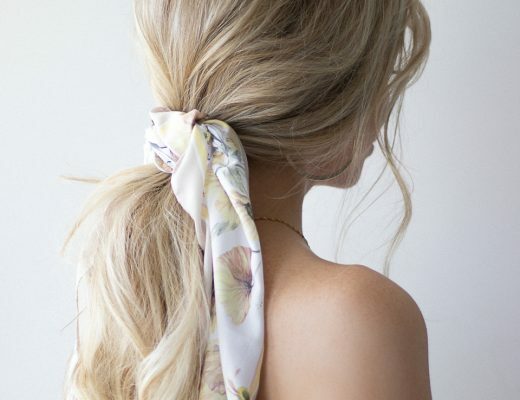 Once you’ve completely wrapped your hair around your hand pull your ends through the centre to create a knot. 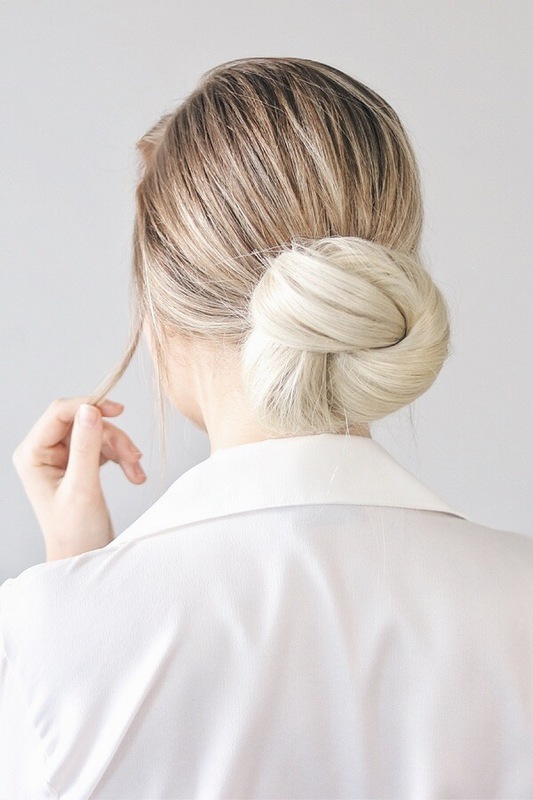 Once your ends are through, tuck them under the bun to hide them. If your hair is too short and you still want to create this hairstyle, I recommend trying Luxy Hair extensions. 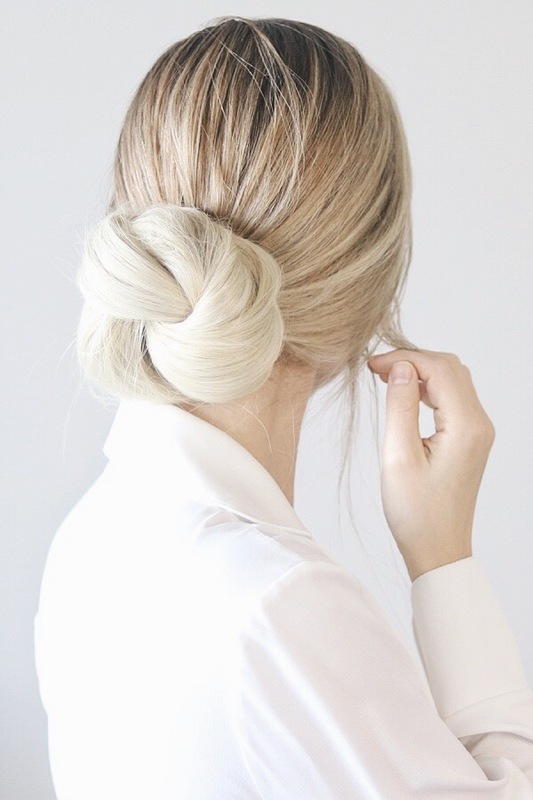 Keep your bun tightly pressed against your head and begin bobby pinning around the perimeter of your bun. Hook small pieces of hair from the outside of your bun and then slide the bobby pins underneath the bun towards the centre of it. Repeat until your bun is nice and secure, I’d put some extra bobby pins in your purse just in case.